The book is a compilation of articles on various topics such as relationships, spirituality, travel, and women empowerment. Now more than ever we as women need to rise above our pain and use it to fuel growth and positivity. In my book, Words From The Soul I discuss taking life's adversities and use them as an opportunity to turn pain into power. I share tools to help with personal development, how to be true to your authentic self, and how to have the universe work for you. 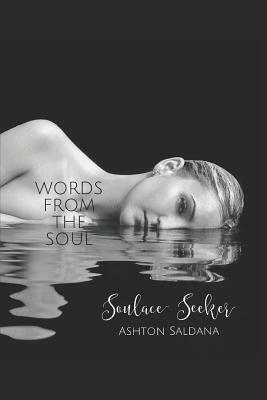 Ashton Saldana is a blog writer whose posts focus on relationship, travel, spirituality, and women empowerment. She endured quite a few extraordinary trials and tribulations throughout her 31 years of life and started writing as a form of therapy. In search of trying to help someone else, she published her articles. She feels her purpose on earth is to share her challenges with others and be a reminder that successes and setbacks are an opportunity to get you to the place you're supposed to be.